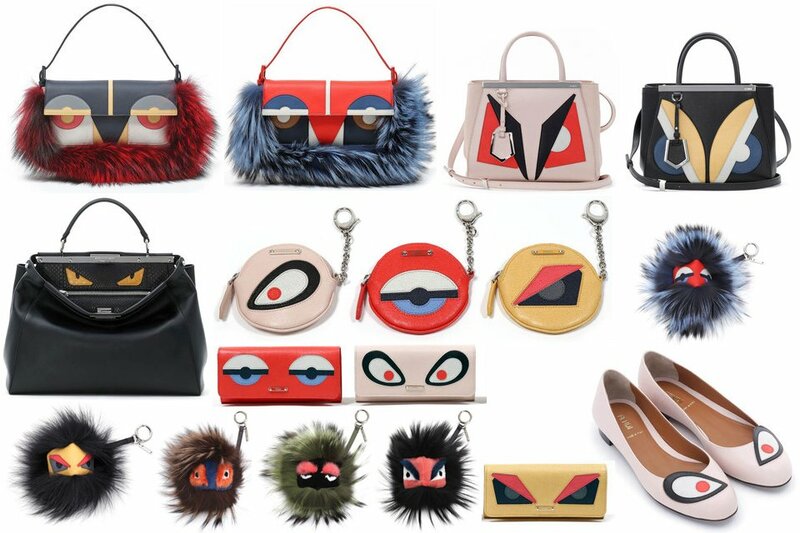 A miniature bag the Italian luxury fashion house launched in 2013 exclusively for the Asian market, Fendi Petite 2 Jours has very quickly seduced the entire world because it is cute and practical at the same time. 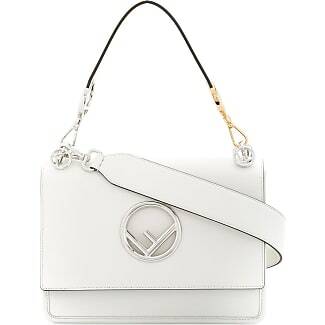 A mini version of the iconic 2 Jours model, this Petite bag was soon after its launch seen on celebrities like the beautiful Australian actress Margot Robbie famous for her role in Neighbours TV series, Tea Falco we know from the movie Me and Your, or Giovanna Battaglia – an Italian fashion editor contributing to top magazines like Vogue and W.
Despite its very small size, Fendi Petite 2 Jours’s success was huge and instant. 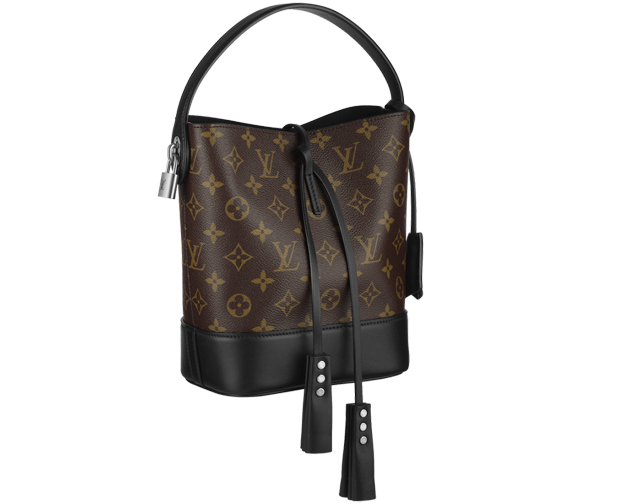 Many of the models sold out from the shops in Hong Kong, Tokyo and Taipei in a matter of days. 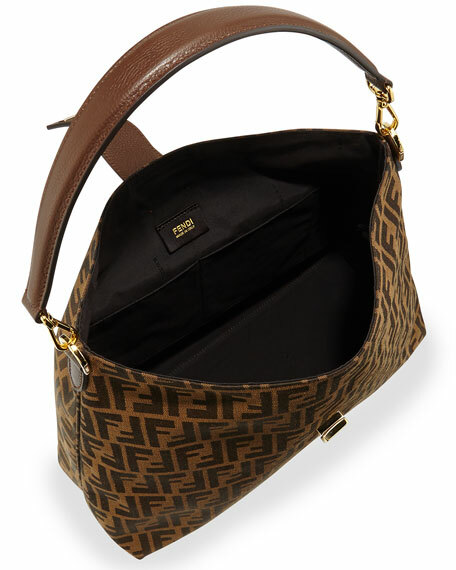 Available in five color versions (light gray, red cherry,navy blue, beige and black), Fendi Petite 2 Jours has everything it needs to charm any fashionista no matter her color preferences. 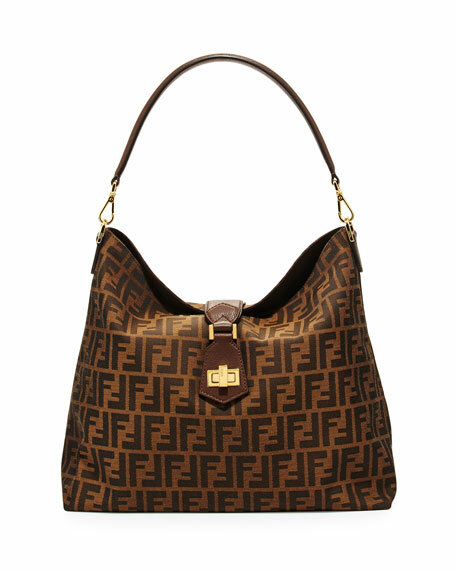 And in order to avoid monotony, the Italian designers played with the bag’s adornments and embellished each color version with different hardware. 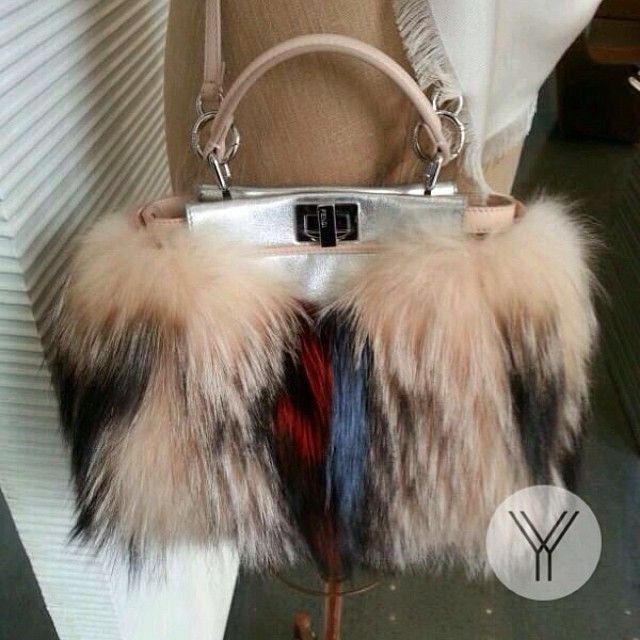 While the black, cherry and gray bags have gold hardware, the beige and blue bags come with silver elements. 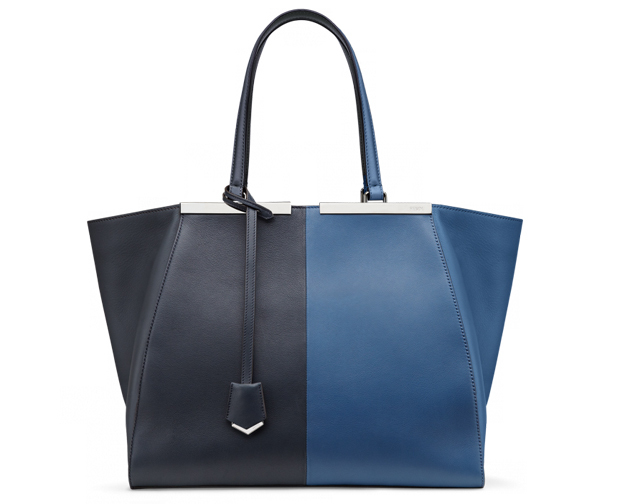 Besides these five very sweet colors, this 2013 collection has two more options under the name of Monster Petite Colorblock. They come in black or very light pink, and are adorned by geometrical leather blocks in different contrasting colors to create the color blocking effect that has been so trendy during the last few years. 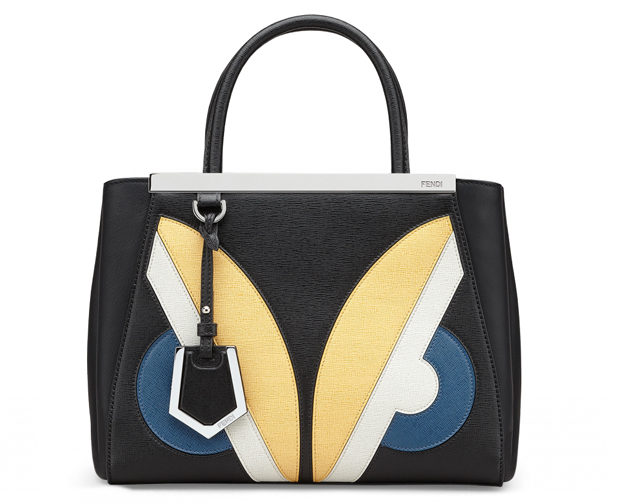 Inside Fendi Petite 2 Jours you will find 2 compartments, which can fit in a woman’s daily survival kit – her wallet, her keys and some small beauty objects like a lipstick. The exterior zipped pocket is not very big, but it can fit a smartphone or something of similar dimensions.